Winter mountaineering demands a tool that can handle the shift between staying safe on snow slopes to actually climbing steeper ground when required. The Cirque is a lightweight, yet extremely strong axe designed specifically for these scenarios. The shaft has enough of a curve to give clearance for your knuckles and ease of placement around bulges, but is not so radical that it can't be easily plunged into snow. 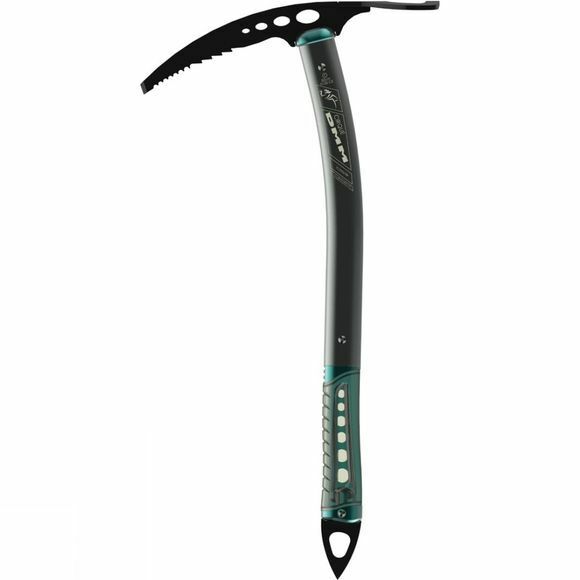 It has a gently curved pick; just drooped enough to give security when the gully line steepens or you have to overcome a cornice exit, but also gentle enough that the thing doesn’t get torn from your hands when you have to do an ice axe brake.